You could substitute oranges with cranberries, or nuts, if you like, but for me the orange flavor is perfect. 1. 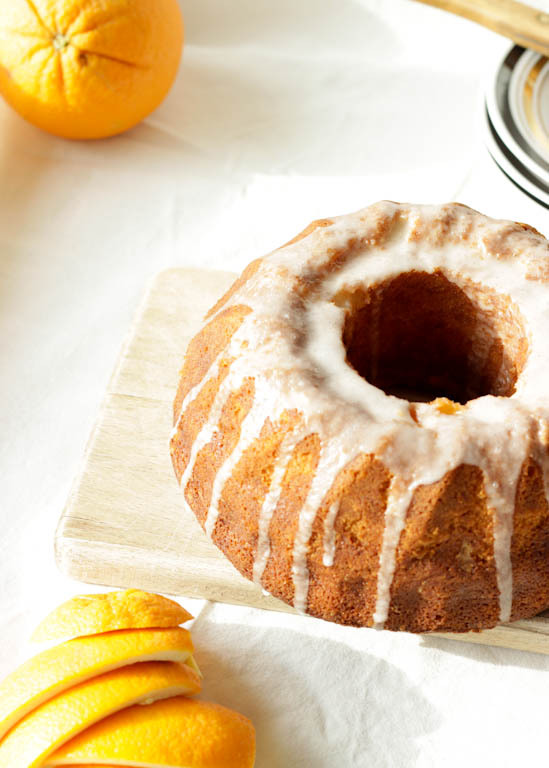 Prepare a bundt pan – butter the sides and sprinkle with flour. Preheat oven to 180° C (350° F). 2. Place the butter and sugar in a large bowl and start creaming together using a mixer, begin on low speed until the sugar is mixed with the butter and then gradually increase the speed to medium high. Beat until the mixture is white and fluffy. 3. Add the egg yolks to the butter mixture, one by one, mixing well after each one. 5. In a separate bowl mix the flour and baking powder, to ensure that the baking powder is equally distributed and the cake will rise properly. 6. Add the flour to the mixture on three additions, alternating with the yogurt, beginning and finishing with the flour. Mix on low speed after each addition until just combined. 7. Finally fold the candied orange peel into the batter. 8. 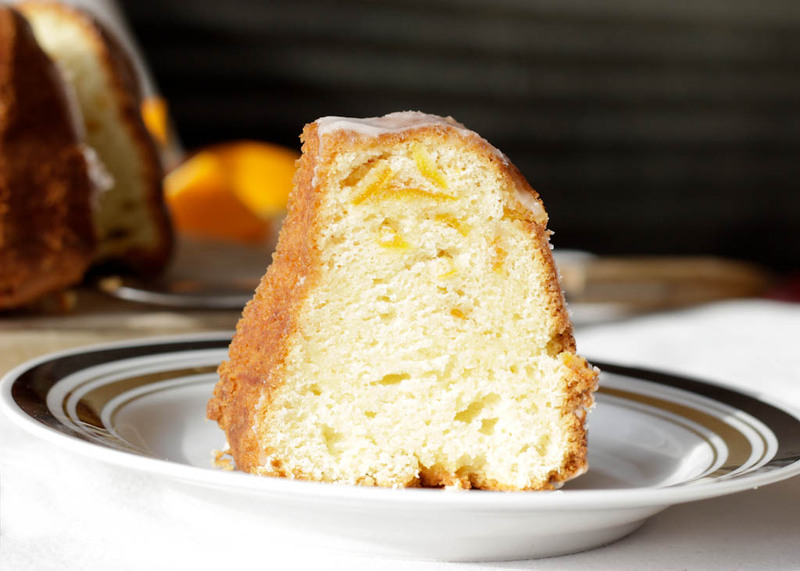 Place into the prepared pan and bake for 40-50 minutes, until a toothpick inserted into the center of the cake stays clean. 9. After the cake is baked, take it out of the oven and let it cool in the pan for 15 minutes, after that, transfer it to a wire rack to cool completely. 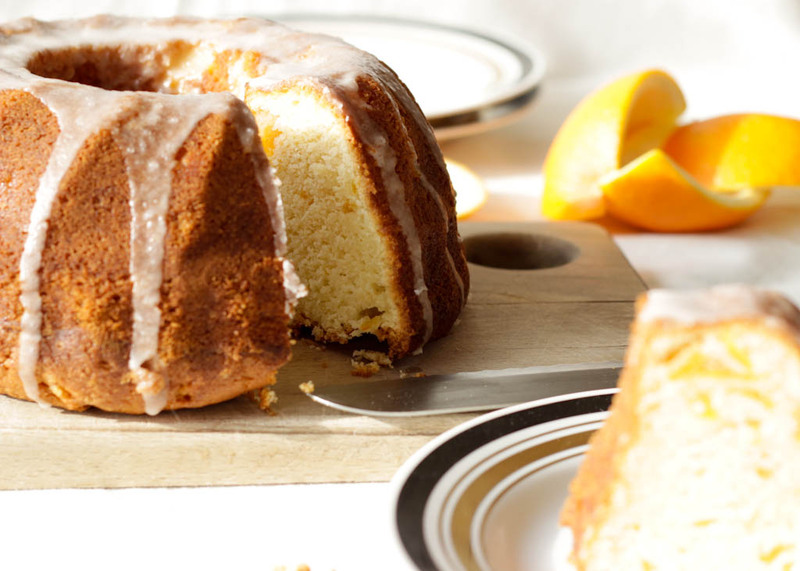 Pour the orange glaze over the cake and leave it uncovered until the glaze is dry. 1. Whisk the sugar and juice until smooth.